The Call for Awards Nominations is now closed. Thank you for your submissions. Join Dance/USA in honoring extraordinary leaders in the dance field. Nominations for Dance/USA's Honor and 'Ernie' awards are accepted from the entire field, and the final selection is made by the Dance/USA Board of Trustees. 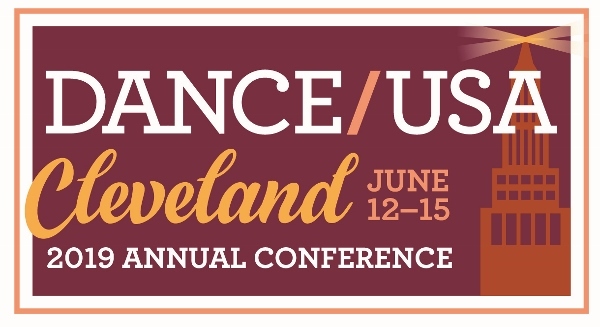 Dance/USA will present the awards during the Opening Night Celebration at the 2019 Annual Conference in Cleveland, Ohio, June 12-15, 2019. The Honor and 'Ernie' awards recognize an individual’s contributions to dance in America and acknowledges the roles they play in the national dance community. Presented by the Dance/USA Board of Trustees, these awards are presented to outstanding members of the national dance community. You do not need to be a Dance/USA Member to submit a nomination. The Honor Award is given to an individual for demonstrated achievements, extraordinary leadership, and exceptional contributions to the national dance field which consistently reflect a high level of artistic excellence, creative force of vision, and breadth of work. Named after the first recipient, The ‘Ernie’ Award is given to an individual working “behind the scenes” within the infrastructure of the national dance field, who has demonstrated extraordinary leadership, outstanding value in the field, and whose achievements have influenced and significantly advanced the work of artists and supported their creativity. 1992 Richard E. LeBlond Jr.
Dance as an art form provides expression, celebration, exploration and transformation for all people. Inclusion and equal treatment of all members of the professional dance community are core values of Dance/USA and central to its mission. In achieving core values of equity and inclusion, Dance/ USA is committed to diversity in every aspect of its programming and services. Diversity in this context refers to groups, communities and individuals identified by dance genre or form, race, ethnicity, national origin, gender, sexual orientation, socio-economic status, religion, age, or disability status. Inclusion means a commitment to making all members of the professional dance community feel welcome and comfortable at Dance/USA. Dance/USA is committed to honoring, nurturing and advancing dance through the lens of diversity, inclusion and equal opportunity in all aspects of its programming, services and organization. If you have any questions please contact us at AnnualConference@danceusa.org.